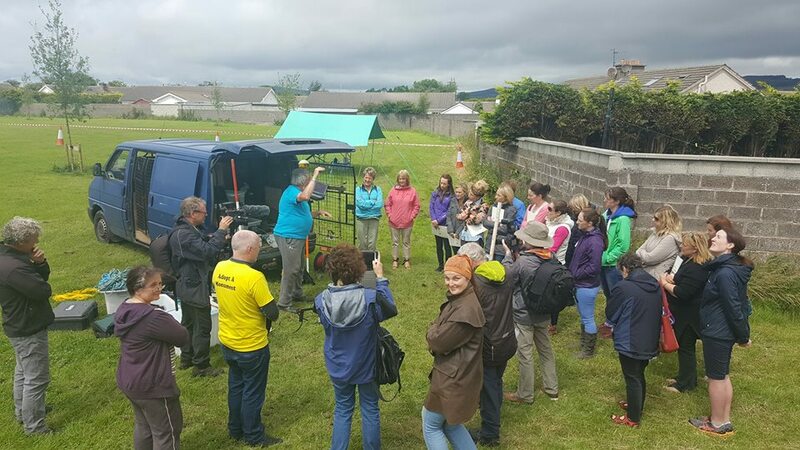 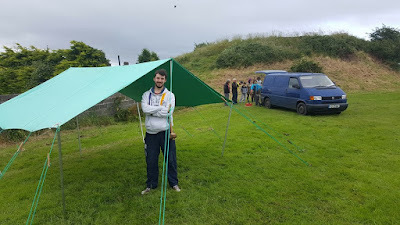 The continuing investigation into the origins of Gallows Hill, Dungarvan, saw members of the Adopt a Monument scheme, members of the local community and Waterford County Museum spend Monday 4th July 2016 (with some work completed on Wednesday 6th) working on the hill and adjoining green area with Archaeological Geophysicist, Kevin Barton. We were also joined by County Heritage Officer, Bernadette Guest, and award winning photographer, John Foley. For the first time the group used Ground Penetrating Radar (GPR), a very high spatial resolution technique which allows two dimensional time and depth sections or horizontal time and depth slices to be produced, transmitting pulses of electromagnetic energy into the ground and recording their reflection or absorption by sub-surface features. 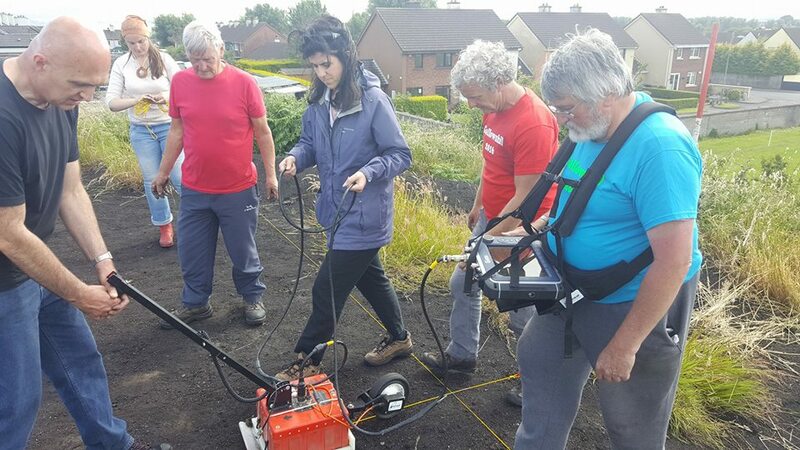 It is a technique that can detect features under surfaces such as tarmac or concrete. 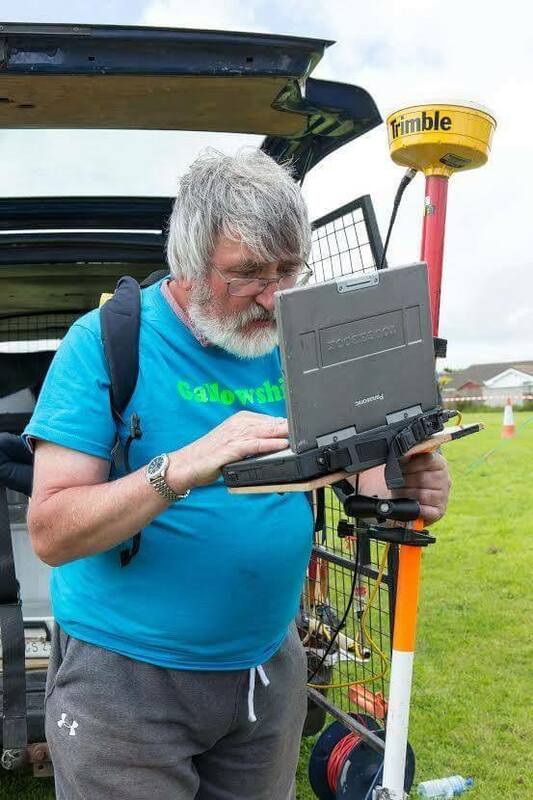 It is hoped that using this technology will add to the information gleaned from previous tests, and help to increase our knowledge about what we believe to be the oldest part of Dungarvan Town. 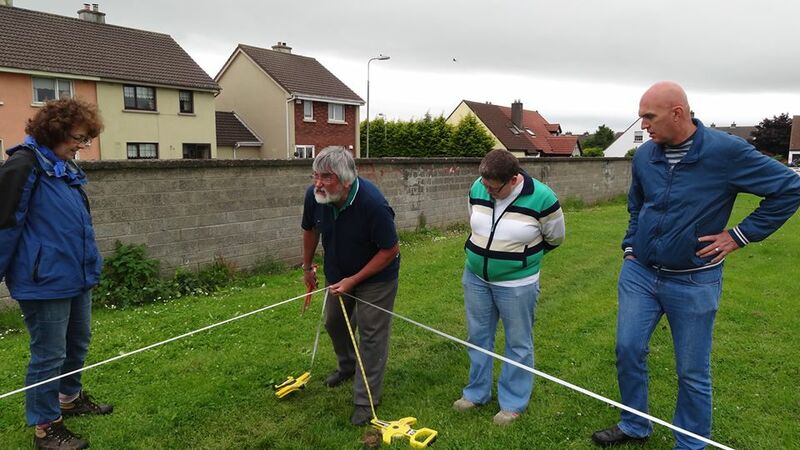 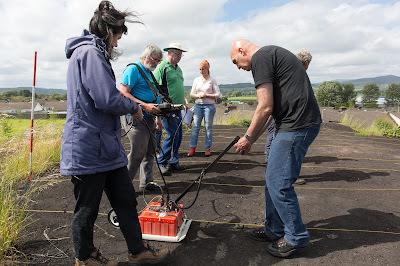 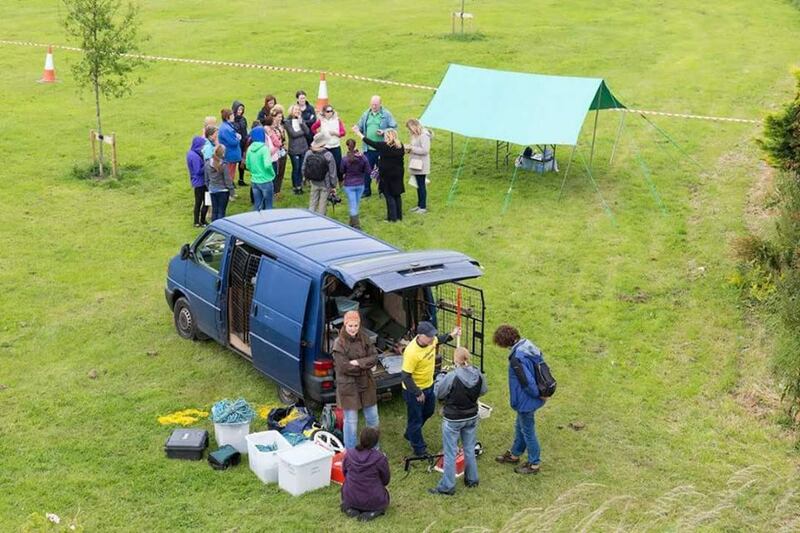 Community Archaeological Surveys 2016 are funded by the Heritage Council of Ireland. 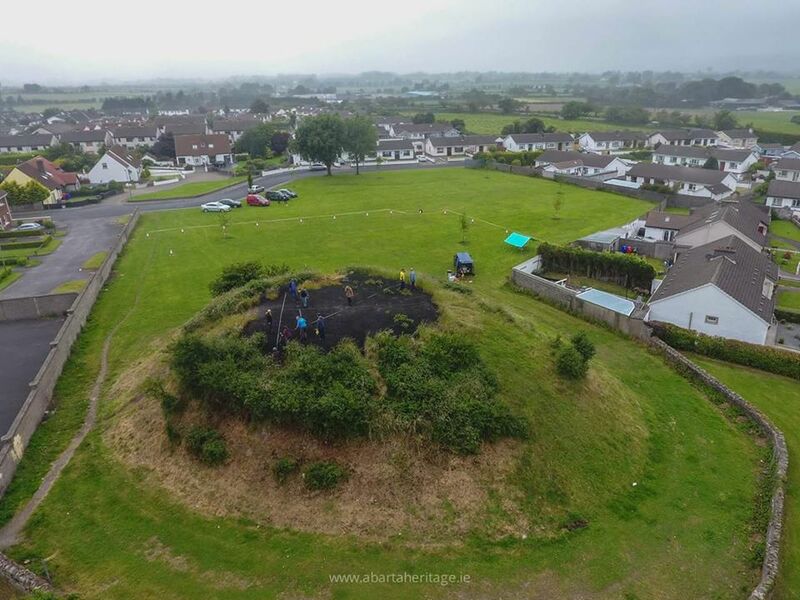 Gallow's Hill Community Archaeology Project is part of the Heritage Council's Adopt a Monument Pilot Project 2016-2017. A big thank you to all involved, including Ben from Abbeyside Scouts. 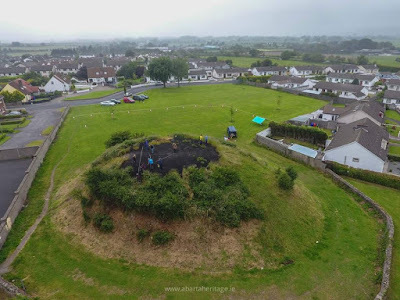 Photos by John Foley, Abarta Heritage and Eddie Cantwell. 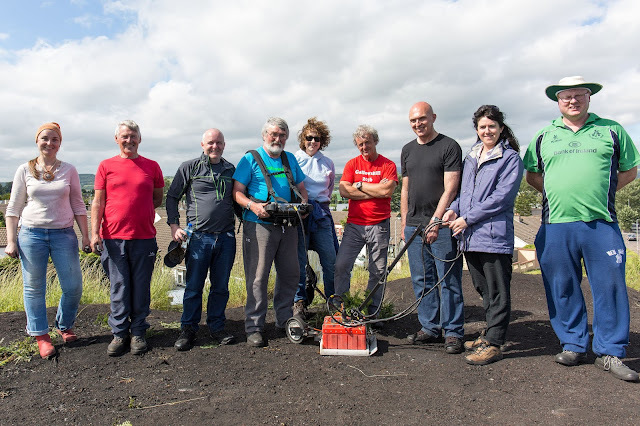 The gang on top of Gallows Hill! 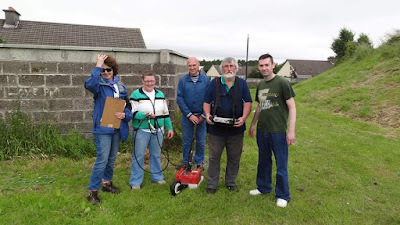 Included in photo along with all the other great volunteers are Kevin Barton (wearing harness), Paul McLoughlin (holding handle), Bernadette Guest (holding cable), Eddie Cantwell, and Willie Whelan.